Spinifex is common in Australia and the Middle East. Its hardy bushes keep sand dunes in place, stabilising coastlines. Its tough resins once helped aboriginal Australians stick the spear heads to their spears. And now its fibres are going to help reduce the thickness of condoms. 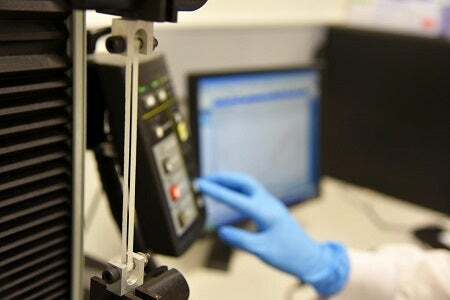 According to the Queensland researchers, adding the nanocellulose produced by spinifex to condoms will allow them to be made thinner than ever. The process starts by harvesting the grass and pulping it, adding a little lye (sodium hydroxide) to help break it down. Once the grass is pulped, it’s forced through a tiny opening. This rips the gross pulp fibres away, leaving behind nanocellulose. The substance is water-soluble so it can be added to latex without any trouble. Once it’s in latex, nanocellulose toughens the material. The resulting condoms can withstand up to 20 per cent more pressure and can expand 40 per cent more than regular condoms. Since regular condoms already meet safety standards, the researchers aren’t interested in making them tougher, so much as making them just as tough — but thinner. Their first attempt at manufacturing the condoms resulted in rubbers with a thickness (or thinness?) of 45 microns. Average condoms tend to hover between 60 and 70 microns, although “ultra-thin” ones can get down to just 20 microns.